Last week I had the pleasure of sitting in on a presentation by Ken Downing, the senior vice president and fashion director of Neiman Marcus. As soon as my starstruck amazement wore off, I watched as he completely enthralled more than 100 Phoenix fashionistas, presenting his thoughts on the upcoming 2012 resort trends. Recently wrapping his whirlwind resort fashion show tour around the world, Downing pieced together his favorite looks from the runway in a powerpoint presentation. Things he loves? Oversized statement accessories, fancy pants (!! 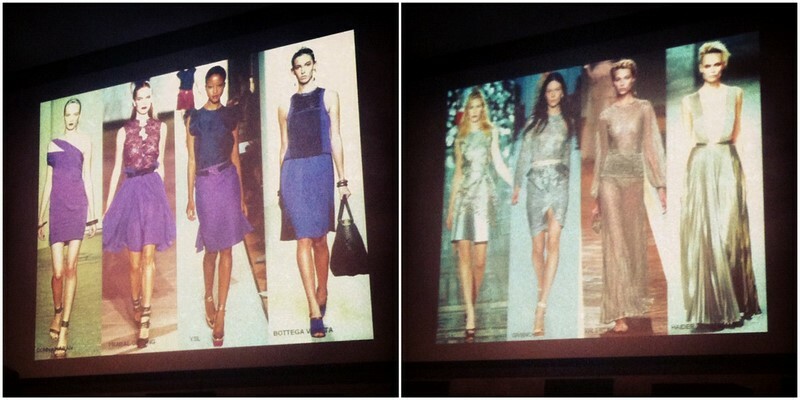 ), the comeback of chic ladylike clothing (which he credits largely to Kate Middleton) and the idea of wearable fashion. He doesn't like everything on the runway, and he passionately believes that black is a constant, not a trend. People, this man is a genius. 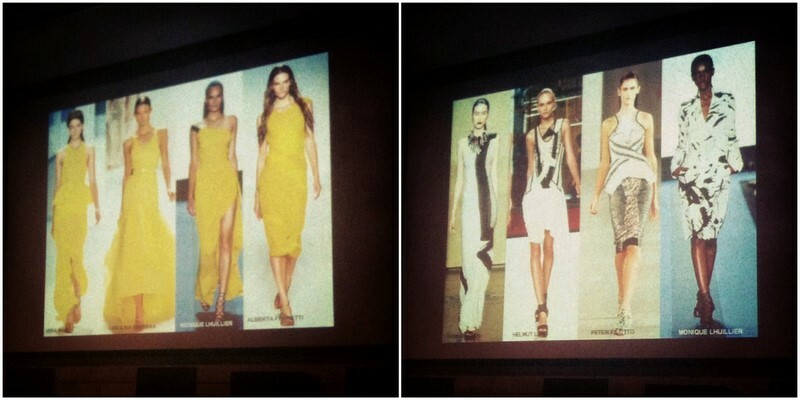 A few of my favorites from the presentation, and the trends I'm most looking forward to? Hot pink, tribal blacks & whites, minty green, navy, royal blues & bold purple. As much as I loved hearing him say the words "fancy pants" over & over, unless I can get my legs as svelte as his...you probably won't find me in a pair come spring! Can't do it. Did I mention we met? Gushing. The man is just so fabulous! The whole evening was a blast. Thanks to Courtney for being my fun wingman as usual, and to Neiman Marcus for the invite! Too bad I already bought you fancy pants for Christmas... haha Still so inspired from this! Hahahaha just because YOU can pull off fancy pants, don't rub it in. Me = not cute.